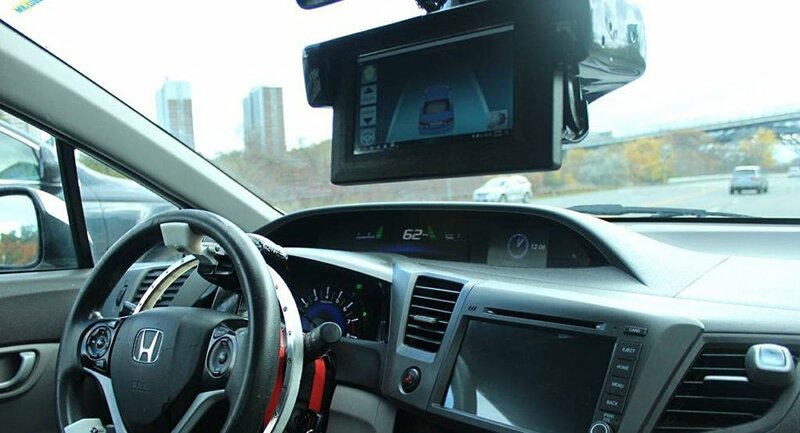 Toronto-based start-up X-Matik has developed an add-on kit which allows any modern car to be transformed into a self-driving vehicle. The science and technology website New Atlas cited X-Matik as saying that the LaneCruise kit has already successfully been tested on a Honda Civic, Honda Accord, Subaru Forester and Subaru Impreza. The system includes a Brainbox central processing unit, front-facing camera and touchscreen user interface module, as well as actuators for the steering wheel, brake pedal and gas pedal. The kit, due to be installed on cars with automatic transmission, "is designed to give any old car self-driving capabilities," according to New Atlas. In fact, LaneCruise can be seen as an active cruise control system which specifically enables a car to slow down, accelerate or stop and then continue on its way. In addition, the kit is capable of recognizing pedestrians, other cars, lane markings and traffic lights. With LaneCruise yet to be mass produced, X-Matik is already taking pre-orders for the kit. Large-scale testing of the system on the road is due to kick off in 2018, and it is expected to go on sale in the spring of 2019. The kit can be leased for 150 dollars per month. There are a total of six levels of autonomous driving, according to the Society of Automotive Engineers, and LaneCruise is believed to operate at the second level. This stipulates that a driver can only remove his hands from the wheel when his car drives on straight sections of the road.